Developing New Markets For Medical Cannabis - Medical Marijuana, Inc.
on the effects of cannabidiol (CBD) hemp oil, and as a result, Medical Marijuana, Inc. products have been the first to be legally available in a number of new markets. Before Medical Marijuana, Inc.’s entry into the Brazilian market, all forms of cannabis, including hemp, were illegal. This changed with the help of a pair of young girls: one in Brazil and the other 5000 miles away in Texas. Anny Fischer, living in Brazil, suffered from hundreds of seizures a day. Her parents, Katiele and Roberto, were disappointed by the treatment options available to them and were desperate for an alternative. Then they learned online about Real Scientific Hemp Oil™ (RSHO™) from Penny Howard, spokesperson for HempMeds® and vocal advocate for CBD hemp oil, whose own daughter was living with epilepsy. Soon after and unbeknownst to Penny or HempMeds®, Katiele began to import RSHO™ into Brazil with the help of family in the U.S. Shortly after, the Brazilian Customs Office found and seized Anny’s next shipment. The Fischers took their case to the Brazilian Courts, and in just 3 days, the government declared it would be inhumane to deny Anny access to her RSHO™. After learning of Anny’s story and her experiences with RSHO™, Medical Marijuana, Inc. was quick to become involved in what would soon become a countrywide discussion. Through our newly formed subsidiary, HempMeds® Brasil, we were able to galvanize a national movement for legal access to CBD hemp oil. In 2014, RSHO™ became the first legal cannabis product in Brazil, a nation of over 200 million people. In 2014, RSHO™ became the first legal cannabis product in Brazil, a nation of over 200 million people. Through our campaign of education and patient advocacy, we have since helped expand the list of indications under which RSHO™ is available with a prescription. Brazil now recognizes the use of CBD epilepsy (all forms), Alzheimer’s disease, Parkinson’s disease, chronic pain and migraines. Brazil has since become the largest single purchaser of RSHO™ since it subsidizes the full cost of these prescriptions through its national healthcare. Medical Marijuana, Inc. started its local division, HempMeds® Brasil, in 2014 to help educate patients in Brazil on the potential benefits in using CBD for their conditions. HempMeds® Brasil supports customers in the process of gaining authorization to import and use our RSHO™ CBD hemp oil products as prescription medications. Through working with patient groups and the government in Brazil, HempMeds® Brasil is helping to expand access to CBD to those in the country who need it. For more information on placing an order for RSHO™ in Brazil, visit the HempMeds® Brasil page. In 2014, Medical Marijuana, Inc. portfolio company Kannaway™ hosted a series of live networking and press events to increase the exposure of CBD based products in Puerto Rico. Local and national media outlets, including Telemundo, Univision, and the San Juan Sun, were on hand at the events, helping to spread awareness of non-psychoactive CBD as an exciting new side to medical cannabis. This media exposure created a demand on the island for CBD hemp oil products, forcing the government to take hasty steps in reforming their cannabis policy. In response to public pressure and Medical Marijuana, Inc.’s efforts to educate the island on the benefits of CBD hemp oil, the governor of Puerto Rico took just eight months to officially authorize medical marijuana, further feeding into the growing movement in Latin America to legalize cannabis. Soon after, 12 of Medical Marijuana, Inc.’s Real Scientific Hemp Oil™ cannabidiol products were registered in Puerto Rico for medical use, permitting them to be sold in Puerto Rican pharmacies. Following this announcement, Medical Marijuana Inc. further capitalized on this opportunity and signed an exclusive agreement with the largest pharmaceutical distributor in Puerto Rico, adding 1200 outlets for the sale of our products on the island. Real Scientific Hemp Oil™ is now Puerto Rico’s best-selling cannabidiol brand. After achieving such overwhelming success advocating for medical use of CBD in Brazil, Medical Marijuana, Inc. was ready to again work for positive change in medical cannabis policy. HempMeds® Mexico was created with this end in mind, and after months of government lobbying through non-profit partners in Mexico, educational seminars, and public forums, Medical Marijuana, Inc.’s RSHO-X™ became the first legal medical cannabis product available in Mexico. RSHO-X™ is our first zero-THC product and was specifically created to fit Mexico’s medical cannabis regulations. Mexico presents a large potential market for medical cannabis. A country of 120 million citizens, Mexico lags behind the rest of the OECD countries in most categories, including life expectancy, mortality from cardiovascular disease, and cancer survival rates. This is largely because Mexico ranks among the lowest counties in the OECD in healthcare spending as percentage of GDP and has the fewest doctors, nurses, and hospital beds as a percentage of their population. There is a need for effective and affordable alternatives to the current healthcare solutions in Mexico, making the import of CBD hemp oil a potential long-term solution for desperate patients. Medical Marijuana, Inc. partner Raul Elizalde worked step in step with HempMeds® Mexico to establish access to CBD hemp oil in Mexico. Raul set up the non-profit Por Grace Foundation to help raise awareness for CBD treatment for his daughter Grace and patients in similar situations looking for an alternative. Just as we had with the Howards in Texas and the Fischers in Brazil, Medical Marijuana, Inc. built a partnership with Raul and the Por Grace Foundation to help expand access to CBD to those desperately in need of it in Mexico. After our RSHO-X™ was approved for Grace, Mexico began granting import permits to other patients. One of the first went to little girl named Alina, who was also suffering from severe childhood epilepsy. Seeing the need for Alina to have access to CBD hemp oil, Medical Marijuana, Inc. and HempMeds® Mexico took all the necessary actions for her family to secure a permit for Alina to import our RSHO-X™. At an April 2016 press conference in Mexico, Medical Marijuana, Inc. partner Raul Elizalde was invited to speak moments before President Peña Nieto revealed a drastic change in his administration’s approach to cannabis policy, away from prohibition and into prevention and regulation. This has the implications of a newly energized push for a responsible approach by the Mexican government toward cannabis reform. Although Mexico’s cannabis reform is still in its infancy, we see a government more willing to discuss ways to end the drug war that has been so detrimental to its citizens, including legalized medical cannabis. RSHO-X™ is available to any patient in Mexico with a prescription from their doctor saying CBD will help their condition. However, at this time, the just over a dozen import certificates approved by the Mexican government have been for patients with epilepsy, showing that positive growth can take time. For more information on placing an order for RSHO-X™ in Mexico, visit the HempMeds® Mexico page. As more countries become aware of the benefits to their citizens from a well regulated marijuana industry, Medical Marijuana, Inc. will be there to assist in extending access in these growing world markets. Most recently, RSHO™ was approved for importation by health officials in Paraguay. The first patient to receive RSHO™ was a 15 year old boy suffering from autism spectrum disorder and Lennox-Gastaut, an intractable form of epilepsy. Because the boy’s seizures didn’t respond to traditional treatments, the boy’s family had been importing expensive yet ineffective medications from Spain. The boy’s family had to petition the health authorities in Paraguay for the right to treat their son with CBD hemp oil. 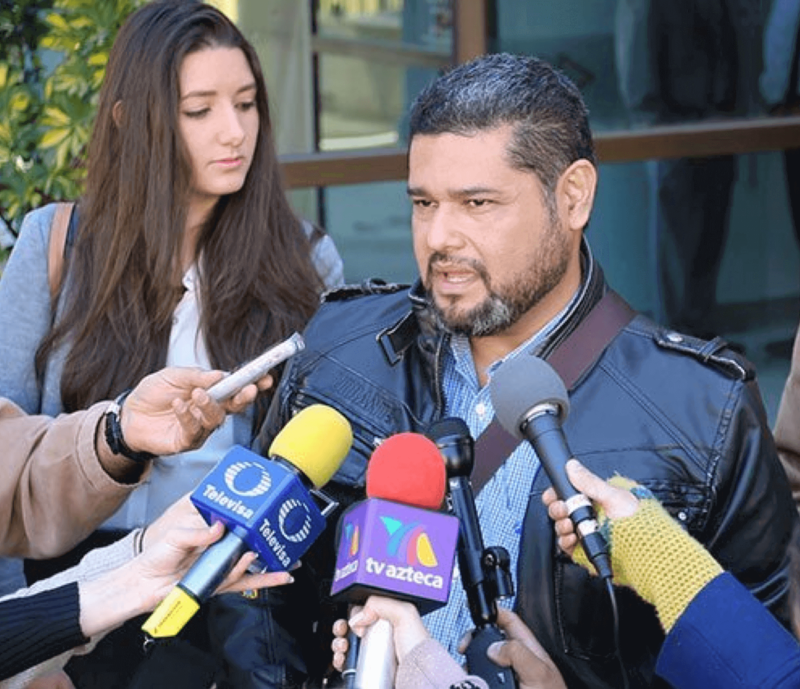 The Por Grace Foundation and the Elizalde family in Mexico were instrumental in the process of securing the first permit for cannabis in Paraguay for the family, a process they recently had to go through themselves in their own country. Paraguay is the third Latin American country to make RSHO™ the first approved cannabis product in their country in a little over a year. In a region long tired of a global drug war often being fought in their own backyard, these progressive and compassionate steps show an openness to marijuana reform. The rapid pace towards the legalization of medical marijuana in Latin America mirrors the reform taking place in much of North America and Europe. As nations continue to see the potential benefit to health and human welfare in their countries from cannabis legalization, the rate at which this change happens is sure to increase. As we have done in the past, Medical Marijuana, Inc. will continue to work with one eye on the future of legal cannabis, advocating for “access for all” in all regions of the globe. As more countries become aware of the benefits to their citizens from a well regulated marijuana industry, Medical Marijuana, Inc. will be there to assist in extending access in these growing world markets. will allow for the growth of local economies and a more readily available source for our CBD hemp oil for all who need it.